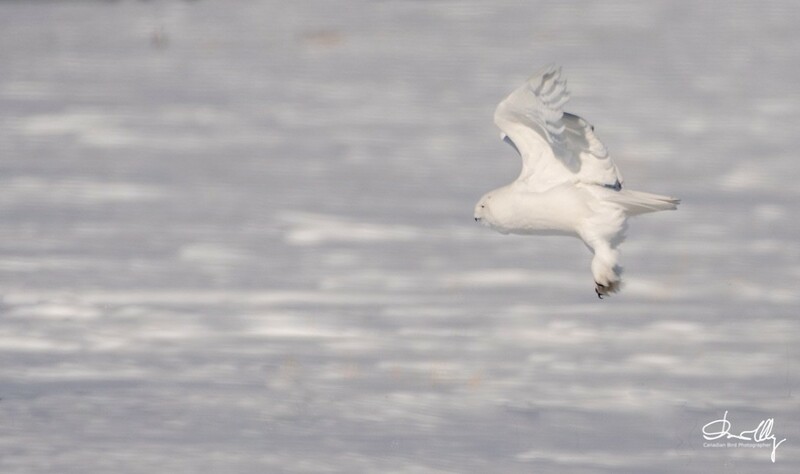 The Snowy Owl is the "Ghost Of the Prairies" for more than one reason. 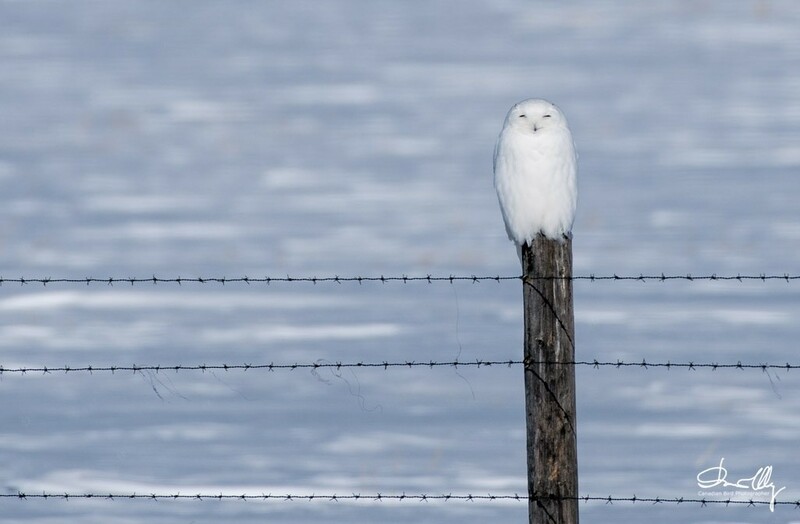 The snowy on the post looks like a ghost. This winter they are a rear sight. However, I did see 10 this past weekend. I suspect there was some overlap. The two photographs to the right shows how the white balance in Auto Mode captures the subject in different lighting conditions. This can be fixed in the Editing software, but I chose to leave it the as per shot. I am still testing the Nikon 200 - 500 mm lens. Both of the photographs to the right were photographed with this lens on a D 500 body. 1/2000sec @F 5.6 full zoom ISO auto. The results of my tests conclude the most obvious fact. This lens needs to be supported to get the sharpest possible photograph.